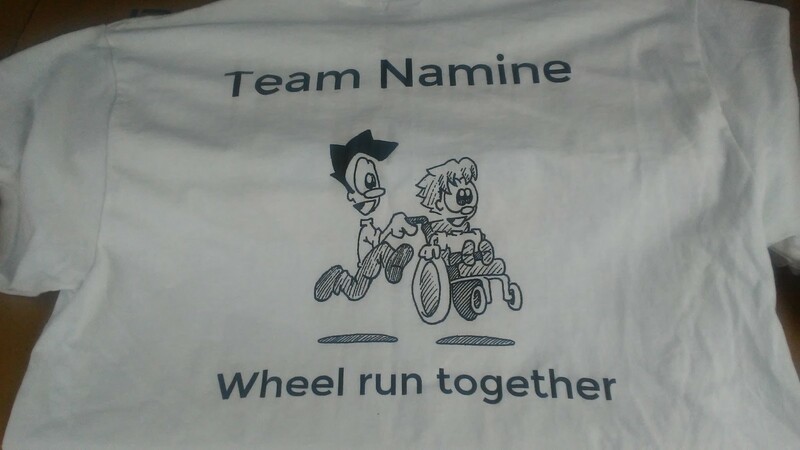 Well, technically, only I have Team Namine’s shirts for Al’s Run. I just picked them up today. But still, it’s very exciting to see that the design turned out so well. I admit that I was a little apprehensive, since this year’s design was hand-drawn (as opposed to the previous two years, which were all done in Photoshop). But nevertheless, I’m very happy with the way they turned out. I can’t wait to see everyone in their shirts on the 17th.